NICOLE RICHIE NEWS: Nicole Richie graces the stage with Britney! Nicole Richie graces the stage with Britney! Nicole Richie is an avid fan of Britney Spears. So when she was in Vegas at the Britney 'Freakshow' she jumped at the chance to crawl around on all fours on the stage! We love how Nicole is not shy when it comes to jumping on the stage with modern day music stars. 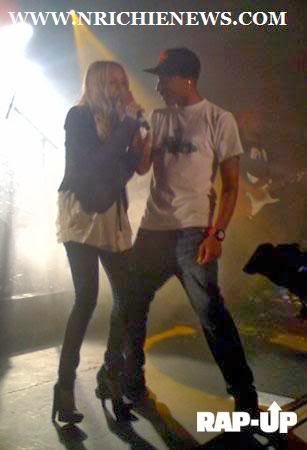 Remember when Nicole grabbed the mic on stage with Pharrell?